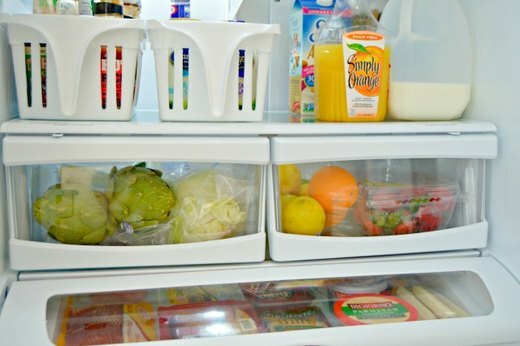 Organizing your refrigerator can help you plan and prepare meals, pack lunches and waste less food. 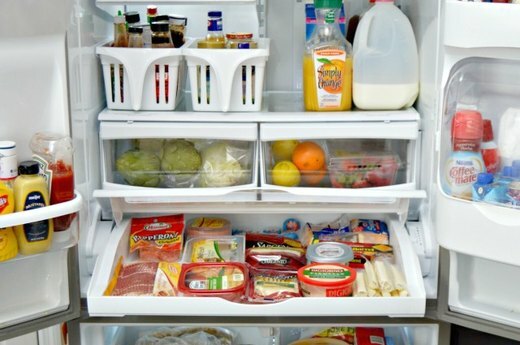 With a few simple tips, you can get your refrigerator cleaned out and organized so you can spend less time looking for items and find the things you need with ease. Before you start, be sure to give it a good clean out. Check expiration dates on sauces, condiments and dressings, and discard any items that have spoiled or your family will not be using. 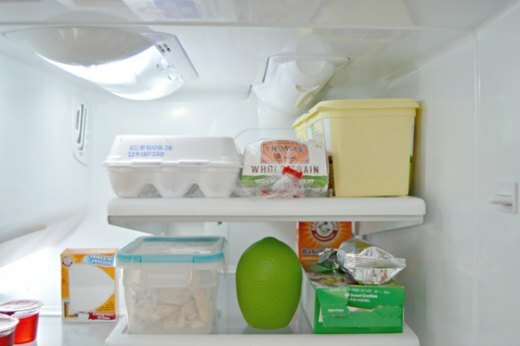 Wipe down the inside of your refrigerator and get ready to organize. I like putting all of our sauces, salad dressings and pickled vegetables in plastic bins with handles. These can be found at dollar stores for cheap. 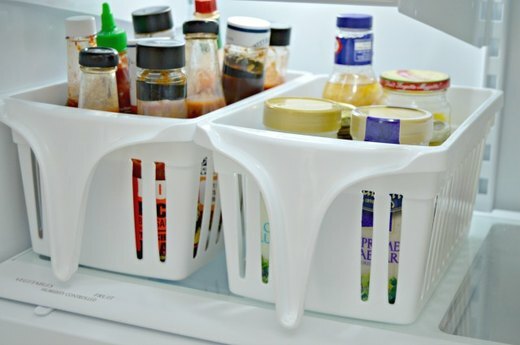 When you need an item from one of these bins, you can simply pull it out and find what you need without moving things all around your refrigerator. This also keeps leaks and drips within the bins for easy cleanup. Since meats and cheeses go hand-in-hand, store them in a drawer together. I like to keep meats on one side and cheeses on the other side. This helps when making sandwiches or preparing a cheese tray. I like to make sure that everything in this drawer can be seen so you remember what you have and nothing goes to waste. 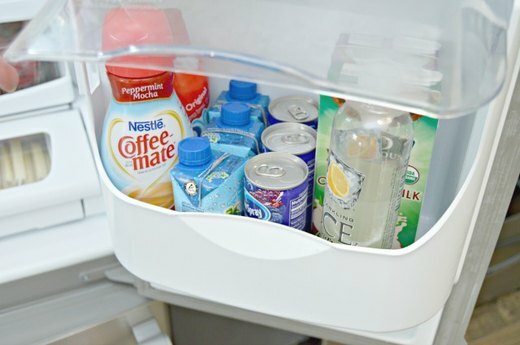 Storing small drink containers together in a door shelf or in a plastic bin will make it much easier to find them, keep them from rolling all over your refrigerator and keeps them from getting stuck in the back behind other large items. Some fruits can give off natural gasses that can progress the ripening of some vegetables. It's a good idea to store them in separate drawers. Placing breakfast items together makes it easier to grab the ingredients you need when preparing and cooking breakfast. It also makes it much easier to put them back in their proper places if they have a designated spot in your refrigerator. 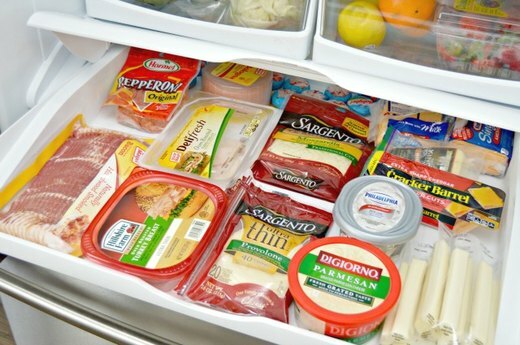 This makes it easy to find what you need when going in the freezer to grab something. 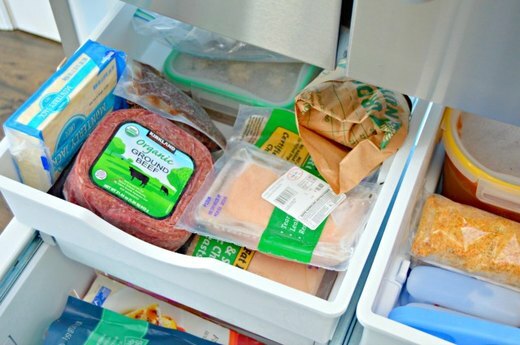 Be sure to label freezer items as well so you know what each item is, as well as when it needs to be used by. To keep track of the items you have in your freezer, place a magnetic dry erase board on the side of your refrigerator with a list of freezer items, including their expiration date. This helps keep track of the items in your freezer so you know what you need to buy when planning meals. Also, you can track how long items have been in your freezer in order to use them before they are unsafe.